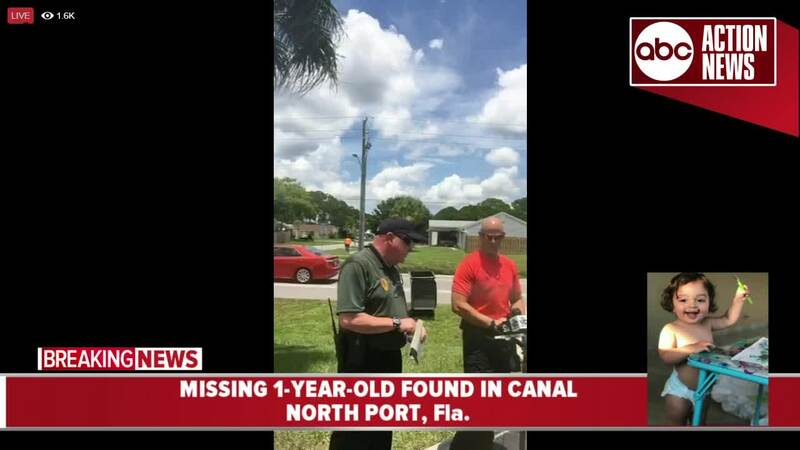 NORTH PORT, Fla. — After an intense search, a missing 1-year-old girl has died after being found in a canal in a North Port neighborhood. UPDATE: after all possible life-saving measures were taken, the child unfortunately passed away at around 1:20 p.m. today. There is still an extremely active investigation, so there are no further details at this time. As always, we will update when we receive more information. 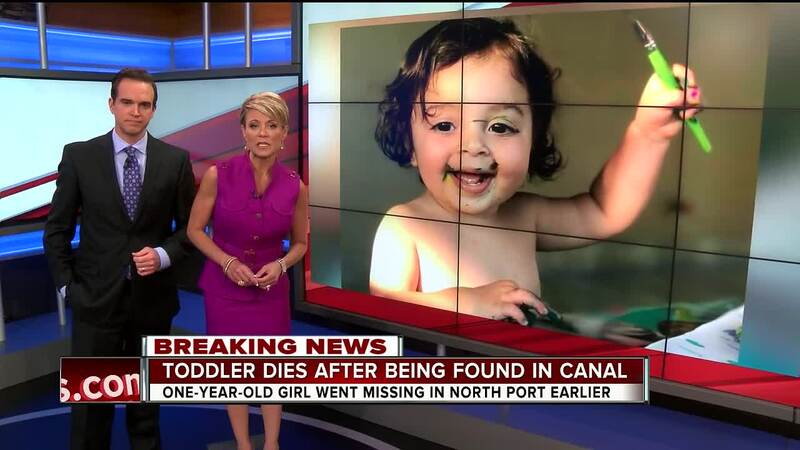 According to investigators, the toddler, Ava Perry, was reported missing at 11 a.m. Officials say she had been missing since around 10 a.m.
During a news conference, officials announced crews found Ava in the canal in about four to five feet of water about a half mile from her home. She was quickly scooped up and rushed to a nearby hospital where "life-saving measures" were being performed. 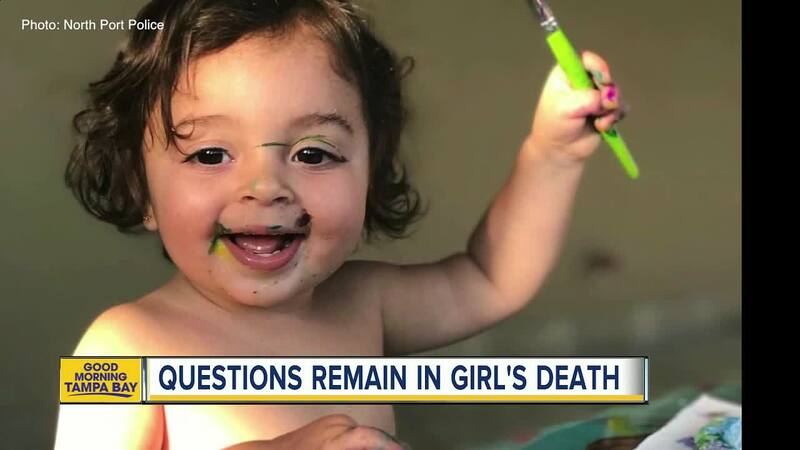 But unfortunately, the child passed away at around 1:20 p.m.
She went missing from her home in the 8500 block of Alam Avenue, off South Biscayne. Neighbors said they held a prayer session for the family. "I met people today that I didn't even know existed, we came together," said Neighbor Jamie Pratt. Anyone with information is encouraged to contact the North Port Police Department at 941- 429-7300.